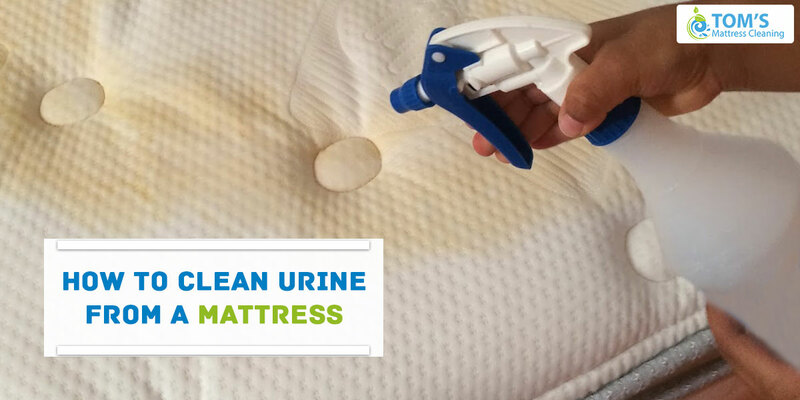 Getting your mattress stained with urine is a common occurrence when you have toddlers and pets playing around. Suppose, you have spent money to buy some really good mattress for your little child and suddenly you find it has been wet. The immediate reaction might be that of distress, but you need to pull yourself to clean up the mess. Odor eating sprays may cut the smell, but they don’t have a permanent impact. Moreover, the stain remains. Here we help you to remove urine stains but in a simple way. Sprinkle Borax – as it neutralizes the odor of urine. You may also use baking soda to absorb the remaining moisture. Borax is an anti-bacterial agent, but some considers it toxic. Baking Soda is not that effective compared to Borax. Try out either of the two. For deodorizing the area you may use hydrogen Peroxide, but that is also considered toxic if inhaled or ingested. Cover the whole area in this way. Be careful not to leave it on your skin as it is just like baking soda, might irritate your skin. You can also mix teaspoons of your laundry detergent with warm water and pour or spray it on the stain. If you can stand the stench, you may pour a mix of warm water and vinegar. But vinegar is sometimes considered a bit stinky. Rub it on the mattress – evenly and it should get beneath the surface. You may use rubber gloves while rubbing. Dry the area completely – in the sunshine or turn a fan on the area. The mattress will need 18-24 hours to dry out completely. Do not hurry the drying part. Vacuum up the powder – to clean up the residue left over. Check if there is any dampness left in the affected area. Prop up the mattress outside or in a well-ventilated area so that air circulates and sift the last of the odor from the mattress. As you clean the urine stain, for future prevention you may use sealed protectors for your pillows, duvet and mattresses. These will also prevent your child from dust mites, bacteria and other allergens. Alternatively, you may try professionals with their mattress cleaning service. There are lots of affordable mattress cleaning services available in Melbourne. Try out the specialists and find the difference yourself.